Livonia New Roof | Livonia Roof Tear-Off | Livonia Roof Installation | Livonia New Roof Estimate | Livonia Roofing EstimateMcGlinch & Sons CO. If you want a licensed and insured company with experience at roof tear-offs or placing a new roof then contact McGlinch & Sons. Since 1917 we have served Metro Detroit as a trusted business who assists residential and commercial properties with new roofs. When many in the area think of new roof and roof installation the only company they call is McGlinch! You can be sure we give you the best of 90 years’ worth of expert and professional service. McGlinch offers Livonia area residents the option of a new roof done on time and in budget. Get a roofing estimate that is accurate and cost-effective. We look forward to helping with your roof tear-off or new roof. Be the next satisfied customer to take advantage of our skill and dedication. 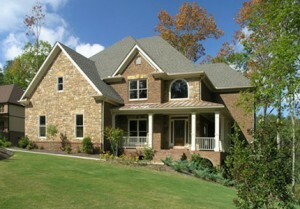 McGlinch handles all aspects of every exterior construction project. If you want a dependable team to give you a new roof or a roof tear-off, then contact us now! Livonia is on the northwest side of Detroit in Wayne County, Michigan and has 96,942 residents. Livonia’s nickname is, “L-Town,” and offers recreational fun in their many parks. McGlinch will guarantee an affordable roof estimate at a competitive rate along with expert roof installation. Get the quality artistry you want. We guarantee a new roof estimate that is fair, and we look out for your best interest. We will walk you through each step of the process and keep our word to stay in budget and on time. McGlinch will help you with our qualified new roof experts. Get the quality new roof, roof tear-off or roof installation you deserve. We consistently train our crews to ensure safety and flawless new roof projects. Plus, we are a family owned and operated new roof provider, experienced in roof tear-off and roof installation. If you want a new roof estimate, don’t wait to contact our team today for a FREE Estimate! McGlinch & Sons will give you a new roof that will last. Call us today at (313) 278-2777 for your roofing estimate in or near Livonia. Whether you had storm damage, high winds or just an old roof, contact our team of experienced and dedicated professionals today!